I have a whole new category of knitting in my life now, and I have you to thank. The category: things to knit while talking on the phone with Ann (and Others). It’s been a long time coming, and there were times that I nearly gave up, but I finally have a job that lets me knit during meetings. The fruit of my most recent Meeting Knitting is a Chevron Stripes Hand Towel using one set of Euroflax Mini Skeins, colorway: Sea. For this towel, I cut the recipe in half. The full-size Chevron Stripes Hand Towel, while still looking like new in my bathroom, is really a lot of towel; it’s so long that the towel puddles on the counter, like French draperies. 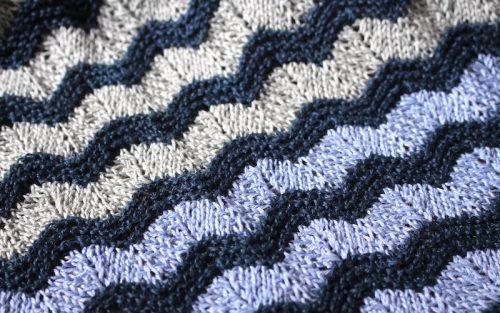 This size—13 repeats plus half a repeat—is perfection. I just played with the colors, trying to get some contrast going. I actually think the dark part looks the most like the real sea. I had about one mini-skein left over, in bits of each of the colors. Linen: no kidding, it just keeps going, and never shows its age. Respect. Cat-tested, Kermit-approved. I love you guys too!!! The new site is gorgeous!!! Any more patterns for those minis? 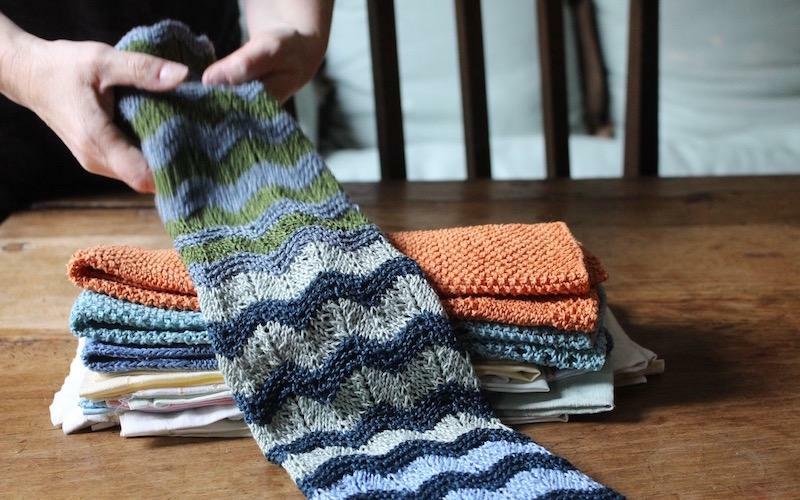 I like 2 of the colorways, never have worked with Euroflax, and already thought of and rejected the wavy towel and the Monteagle bag (OK, I’m difficult). Is there a face cloth thingy, or something? 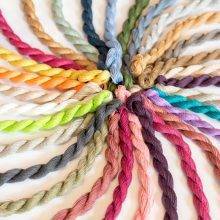 I like the idea of using each of the colors in a solid project. Those pinks and blue/greens are so inviting! 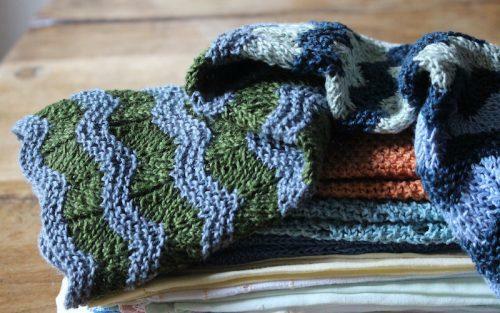 Diane, you have inspired me: Buy two identical color batches, use one for the wavy-stripey handtowel, then each of the mini-skeins in the other (plus the scraps from the first – waste not, want not!) 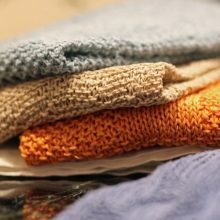 become individual solid-colored washcloths. Coordinating bath sets!!! Honeybee33, you do some good thinking early in the day! Baktus scarf! I’ll write about the one I made using two sets of mini skeins. Really fun. Love this new format and your blog is helping to distract me from the impending storm. Good luck, Glynis. I hope it all passes you by without trouble. In an effort to improve my knitting skills (being self-taught does have its limitations), I am working on small projects like socks and mittens. And this looks like another lovely small project to add to my list. Love the new site, I still have so much to explore on it and that is a good thing! I’m mostly self taught, too! The internet has so much to offer in terms of tutorials and how tos. Kind of incredible, really. I’m mostly self taught, as well, but in the days before the Internet (never underestimate the value of a good “learn to knit” pamphlet). I agree, Ann, that the Internet has so much to offer. I feel so blessed to be part of it all. It is, indeed, kind if incredible. Congrats on the new website – it’s really welcoming and comfy in here! I was going to say that really Rhinebeck is the only place for the big flower jacket, but then I remembered NY! (always comes with a !) – the home of statement outerwear. I look forward to photos of your sartorial splendor in your native environment. In NYC no one will bat an eye! You two are having Big Fun Now! Huzzah! Nice new site! And nice to have the “reply” option-missed you this week!! The new site is just fab!! I’m really enjoying it. And it is time to update my linen hand towels, which still look like new. Thanks for the size suggestion. Oooohhh…now I have to order more! So it would be soft enough for a scarf? Gee, that’s good. I’m wearing it right now! ; ) My field report: it has a crispness to it, but I washed it and dried it in the dryer, which softens it. The more you wash and dry it, the softer it becomes. Ah! The mini skeins are perfect for a Baktus, but there are five skeins. How to measure 1/2 skeinvfor ghe middle skein ( to begin decreasing). I want to ship ME to Canada, Pamela! We hope to have international shipping set up shortly. Thank you for your patience (and you are free to gloat about our politics, because it’s all pretty gloat-worthy!). Love the new site! Can you add the creation date to your articles on the landing page so it’s more obvious what is new? Or do I just need to drink more coffee today? My morning got a jolt of Amazingness when I discovered your new site! This is fabulous, and I still have so much to explore. Thank you for all the work that went into your new “home” that you’re sharing with us. I’ll be back often!! LOVE the new sight and I love you both!!!!! Linen brings out the poet in all of us, Leah. Thanks for the sweet words. Love the mini skeins! 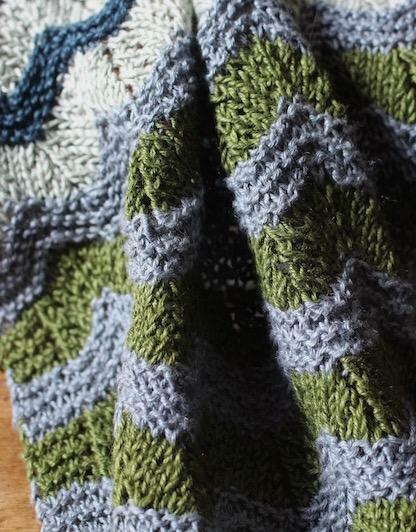 I have the original book w this pattern but row 6 is throwing me off….is it just me?? Can you clarify the repeat, please?? Please and thank you! I just got far enough into it to realize that the pattern in the book is wrong, and the errata on Ravelry is wrong too. Row 6 should read: Using B, K5, *k2tog, k2, kfb in next 2 sts, k3, SKP; rep from * to last 5 sts, k5. Recording this here in case someone else is trying to figure out how to knit this. 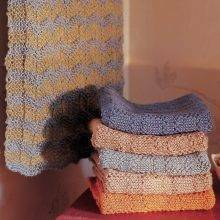 I’m new to MDK and just ordered a Euroflax mini skein set and the hand towel patterns. I would love to reduce the patterns by half but I am clearly too much of a beginner to figure out how to do that! Any chance you could provide a bit more detail than you provided in the post above? Thanks! Ditto. Ordered the book (so fun to read! I am late to the MD party but am glad to be here) and 2 sets of minis. I’d like the make the smaller version. Help!